One of the rewarding things about accumulating your wealth for the future is knowing that one day it can be passed onto others. Your wealth might be built up from 40 years of work to clear the mortgage on your home, family businesses, property portfolio’s, savings & investments, or even assets abroad, all of which will require individual considerations for it to pass intact to your loved ones. At Penguin Tax Planning we work closely with our clients spending time to understand your personal situation, motives and goals for your family in the future. This time and attention to detail ensures that each Family Trust has your Family at its heart! It is set up by you for YOUR Family, it is run by your Family, for the sole benefit of your Family. 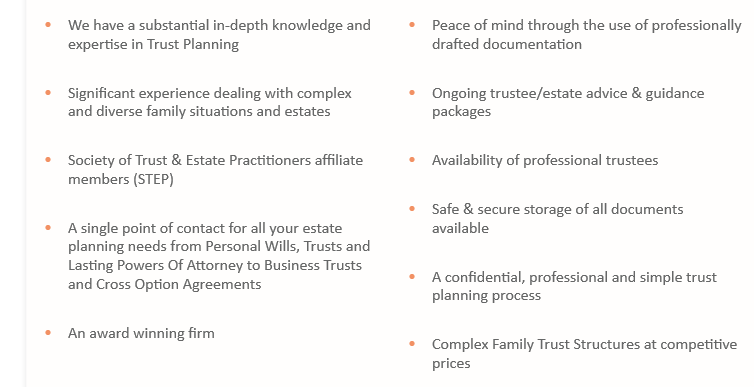 But by far the most popular reason for many of our Family Structures being implemented at present is more for the protection of assets and legacies from social and domestic risks. With divorce rates projected to reach 50% and following the death of a partner the rates of remarriage and new partners is more than 60%. So this presents a clear threat to any unprotected legacies that you leave.